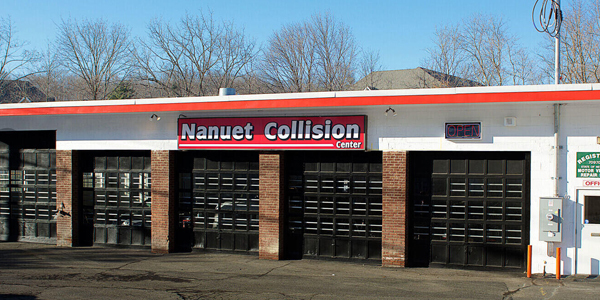 Nanuet Collision Centers announced that it will be gifting Recycled Rides to two disabled veterans on May 23 at the company headquarters in Monsey, N.Y. The gifting will also be made possible by the National Auto Body Council (NABC), GEICO, Charity Cars, VFW Post 9215 and the Nanuet-West Nyack Rotary Club. NABC Recycled Rides is a program in which businesses representing all facets of the collision repair industry team up to repair and donate vehicles to individuals and families in need of reliable transportation. Since the inception of the program in 2007, NABC members have donated more than 2,000 vehicles valued at more than $36 million. Recipients William J. Smith and Sarah Nancy Mess are disabled veterans who served in the U.S. Army. Smith was in the Army from 1989 to 1992, serving as a tank commander in Operation Desert Storm in 1991 and getting honorably discharged. As a result of his duty, he suffers from severe PTSD. The timing of this gift could not be better as he has not had a vehicle since last year. The vehicle will get him to vital community resources he needs for recovery and eventually serve as his transportation to work. Mess served on active duty from 1992 to 2000. She was deployed to Mogadishu, Somalia, in 1993 with the 42nd Field Hospital in a combat role as an operation room specialist. When she got discharged, she took on responsibility for her aged and ill mother and her two young children, as well as her husband. Her mother recently passed away. She and her husband have been in financial distress due to home repairs and raising two growing children. Having a reliable vehicle will provide her with a sense of relief and give her access to care for her family. The vehicle will also allow her to gain income and pay for home repairs and mounting bills without having a car payment.